Shaking the hands of attendees at the launch of the Royal Academy of Engineering’s Taylor Centre was Marty: a 3D-printed, wide-eyed robot with some seriously expressive eyebrows. 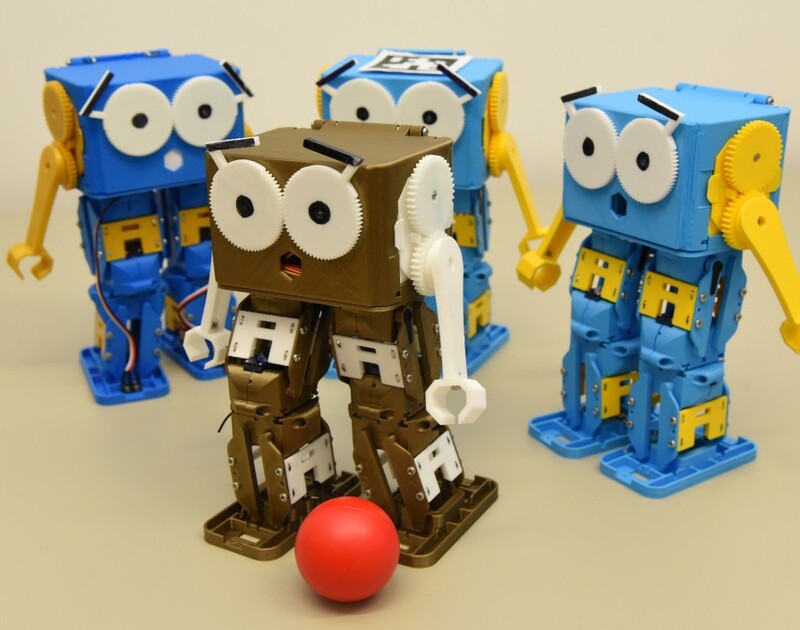 He was designed by Robotical founder Dr Alexander Enoch to encourage kids to customise and program their own robot to do certain tasks, like kicking a ball or busting out some dance moves. And Marty the robot was just one of the innovations on display at the Academy’s new innovation hub, which opened its doors on Thursday. The Taylor Centre will give entrepreneurs from across the country a place in central London where they can network, hold meetings, court investors and base themselves while in the city. It’s part of the Academy’s Enterprise Hub initiative, which helps members develop great ideas at various stages of development and get them market-ready through one-to-one mentorships. Also showing off their innovations last night were Dr Sam Chapman, whose business Kenoteq has engineered a brick that’s made from 90% recycled material, and Michael Geissler, CEO of Mo-Sys, a company that develops advanced sensors that help make VR and AR experiences even more immersive. The Enterprise Hub has already helped 61 members launch their businesses. With a new venue right smack in the centre of London, here’s hoping we see plenty more.